Hey y’all, my name is Catherine Courtney. 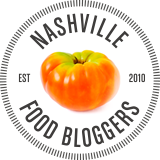 I am a native Nashvillian with a penchant for culinary creativity and epic travel adventures. I'll admit... I also have a slight obsession with handbags. Long ago, I learned that time is our greatest commodity and it’s not to be taken for granted. Challenging myself to live a life filled with purpose, passion and adventure, I started Blonde Voyage Nashville. Join me as I explore near and far away places, filling my passport full of stamps and satiating my appetite with some of the most amazing cuisine the world has to offer.